Yes I admit.. 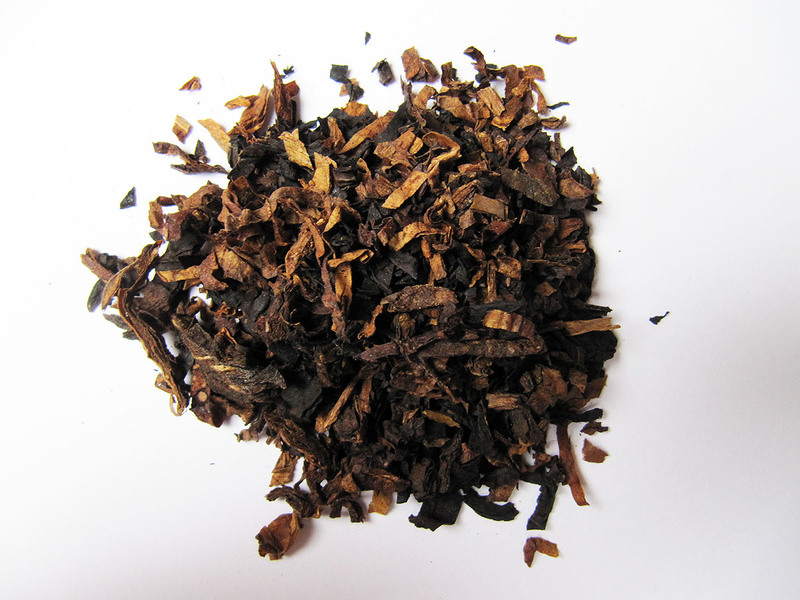 I am a lover of the dark leaf that many pipe smokers love and even more wives and girlfriends hate: latakia. 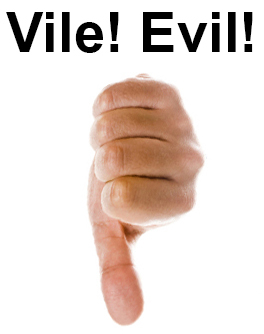 But I did not always like it..
First something about latakia. What is NOT used in the process of making it is camel dung.. Many people think that because of the odour it gives when it is burned. Also latakia is not a ready tobacco. It is an oriental from which the leaves are hung above a smouldering fire so long that the leaves go from a light colour to dark brown or even black. Hence the name, the dark leaf. Like so many things the discovery of latakia was unintentionally. 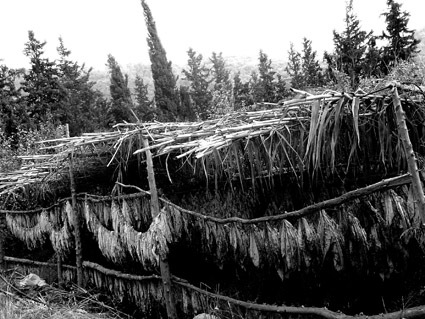 Somewhere in the 1800’s in the northern part of Syria near the port city Latakia a bumper crop of tobacco was left in the storage attic of a house for many months where it was exposed to household fires and smoke. 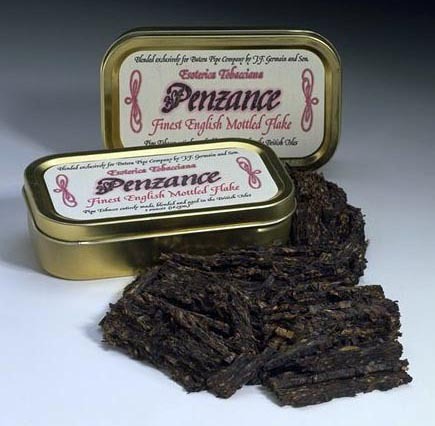 The following spring the unique flavouring and taste of the left behind tobacco was discovered. At the beginning of the 20th century latakia was used to spice up the then popular Turkish cigarettes. Later when ordinary domestic cigarettes rose in popularity the use of the dark leaf declined. 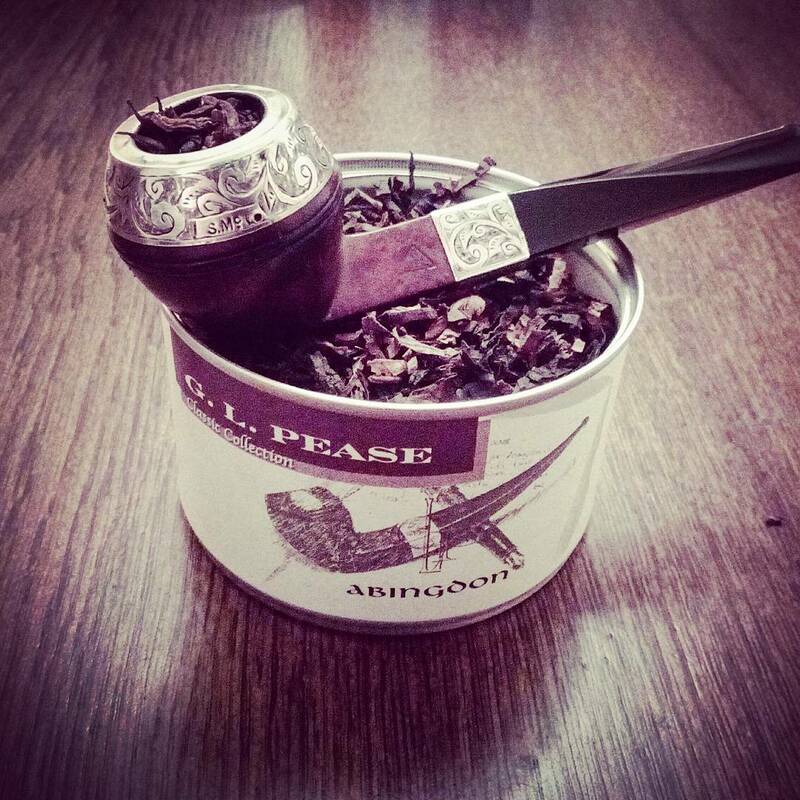 Now it is only found in pipe tobacco blends. There are 2 kinds of latakia: Syrian and Cyprian. 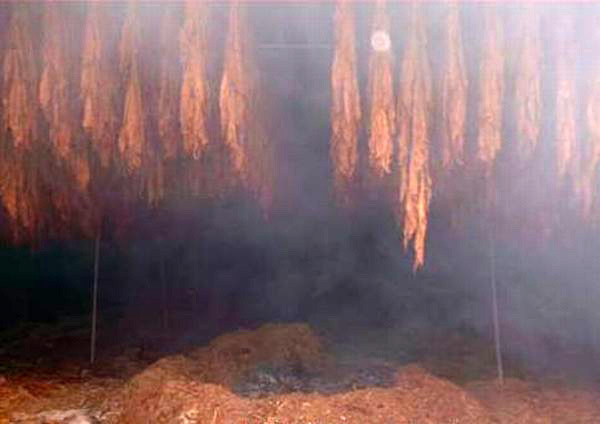 Cyprian latakia comes from a Smyrna or Izmir-type tobacco plant that is known as “Yellow Cyprus.” The Yellow Cyprus leaves are harvested by de-stalking them and are made on long poles to be hung in a tobacco shed. The leaves are then smoked over open smouldering fires. These fires are made from hardwoods, some pine and aromatic shrubs and woods such as prickly cedar and myrtle. It has been reported that the Mastic shrub is primarily used in the smoke generation for Cyprian latakia. The following formula may approximate the shrubs and woods used for the fire/smoke-curing process: Mastic 90%, Myrtle 4%, Stone pine (this one or this one) 4%, Cypress 1%, Other 1%. The taste of Cyprian latakia is more assertive, sweet and leathery. 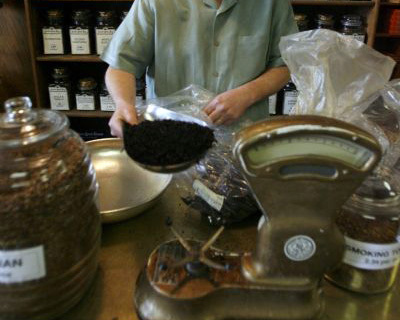 When you mix latakia with other tobaccos you have to be careful. Although some others like to smoke it almost pure.. With percentages around 3% to 5% you just start to notice latakia. The sweetness of the Cyprian variant comes alive around 10%. The wine-like character of the Syrian variant begins to emerge at 10% to 12% until it dominates the blend around 30% to 35%. 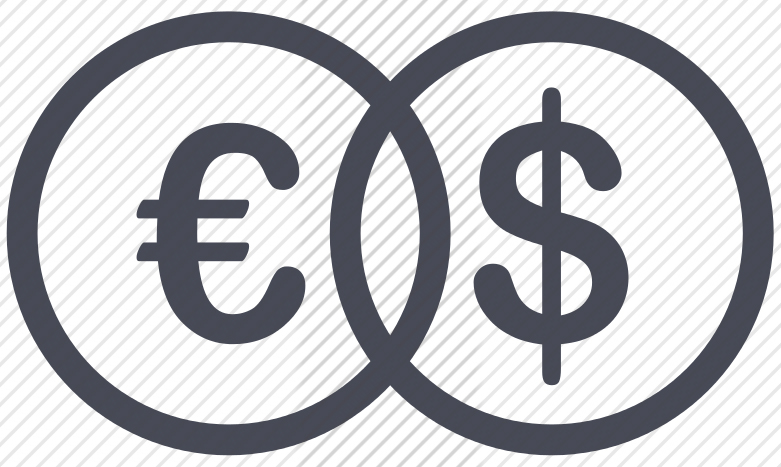 The maximum of Cyprian latakia is around 40% to 50%. However, higher percentages (60%) are possible but then a very skilful blending hand is needed. I first read about latakia in Janneman’s Pijpenboek. 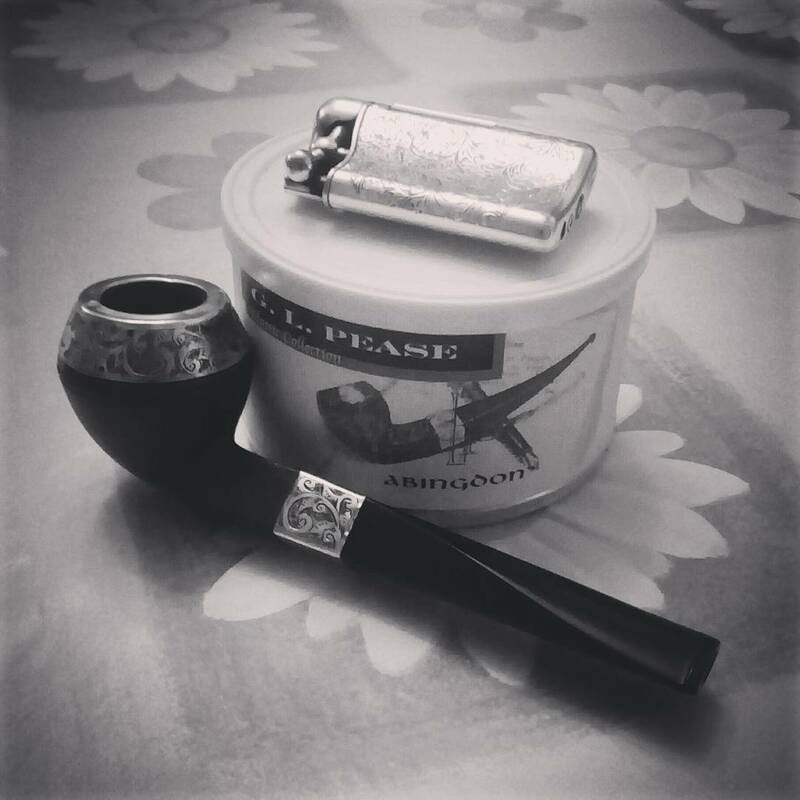 I was growing a bit tired of all the aromatic tobaccos I was smoking. I wanted to taste something new. 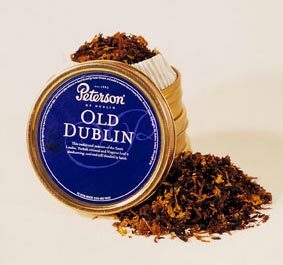 And I got just that.. My first choice of a mixture with latakia was Peterson Old Dublin simply because it was the only one that the Rokado tobacconist had in stock. At home I anxiously opened the tin and smelled the contents. Whooaahh!!! My nose went open instantaneously. What the……. “Does anyone smoke this? 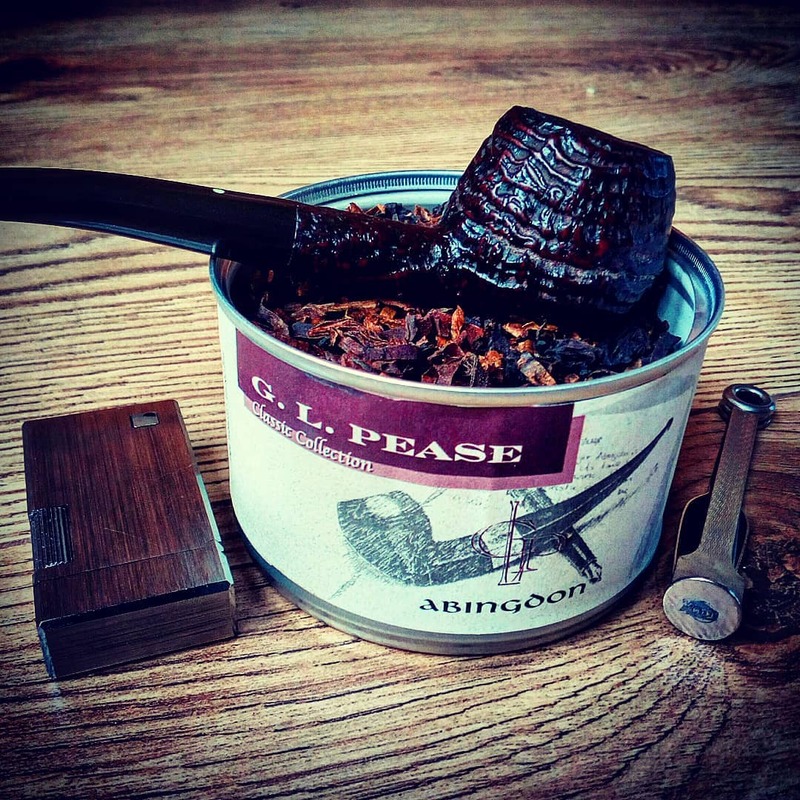 ?” I thought.. “Wel ok, let’s give it a try.” I picked a Peterson (how fitting), filled it up and lit it. Whooaahh again!! 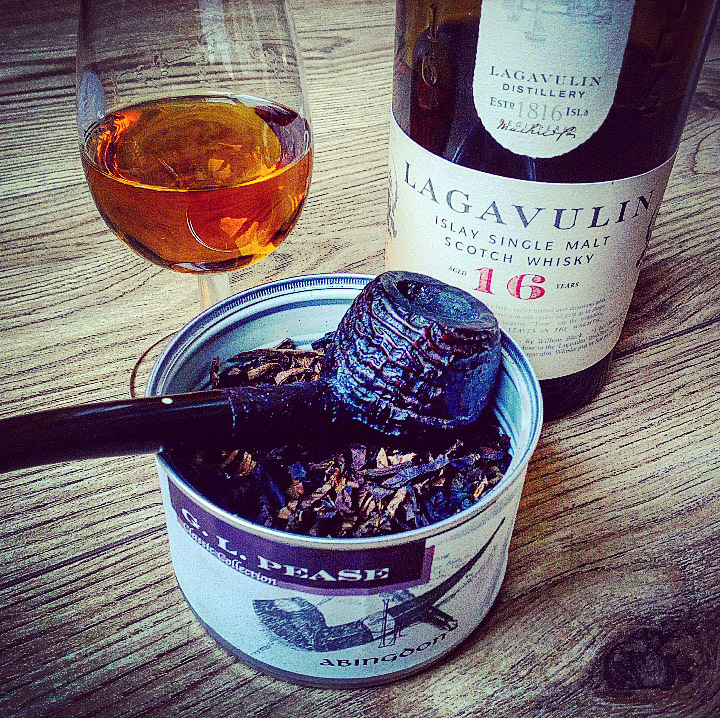 Like smoking wood from a fireplace! I did not really enjoy that first bowl but I was intrigued. After a couple of pipes I liked it a bit more but I still had some reservations. On a visit in Germany I bought a tin of Dunhill Nightcap. “Let’s try that one, maybe it is better.” Well, it was not.. Way too much nicotine for me at that point. I got sick and put the latakia mixture tins aside. 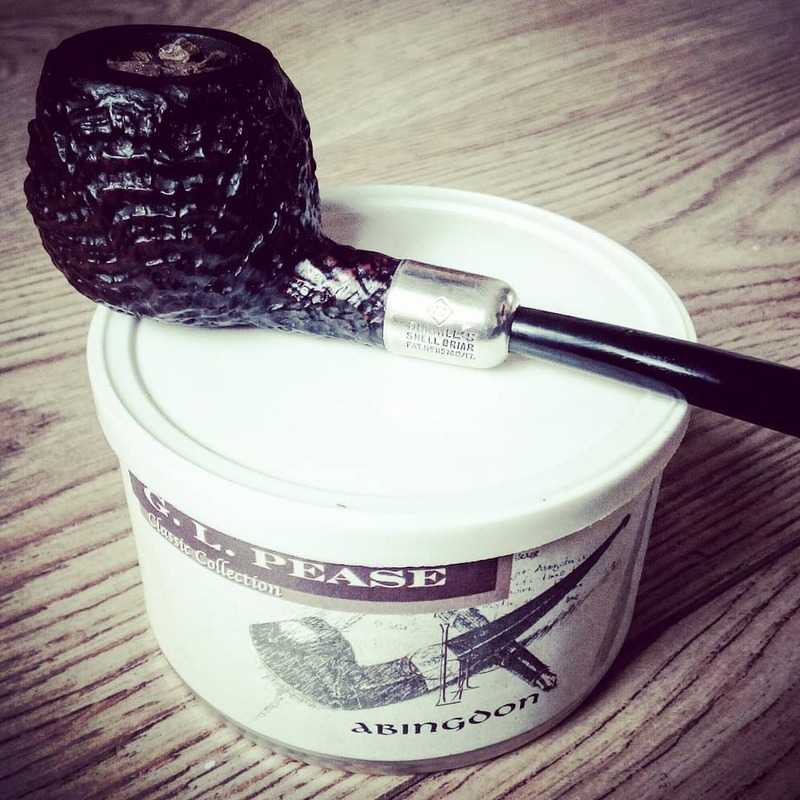 A couple of months later a pipe of me was fixed by a fellow pipe-smoker from Belgium. As a payment he wanted tobacco in stead of money. I knew he liked latakia and I wanted to give him something special. So for the first time I ordered some blends from The States. Peter Stokkebye Balkan Supreme and McClelland 3 Oaks Syrian to be precise. Balkan Supreme came in a zip-lock bag which I put on a shelf in the kitchen. One evening I sat in the living room and suddenly I smelled something very nice. “What is that? ?” I wondered. I followed my nose to… The zip-lock bag with Balkan Supreme. 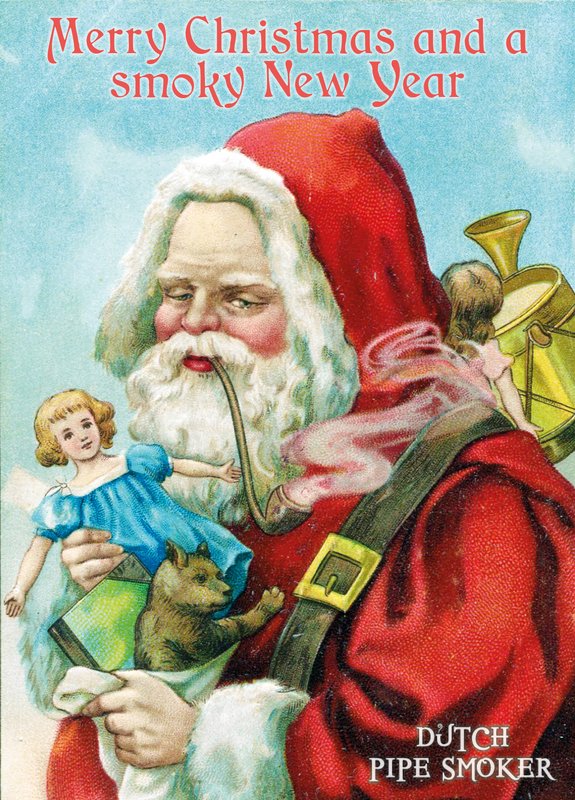 Of course I could not smoke it, it was the payment for the fixed pipe. But when I visited the fellow pipe-smoker I asked if I could try the tobacco. And luckily I could. It was di-vine! Quickly I ordered a bag of Balkan Supreme for myself. 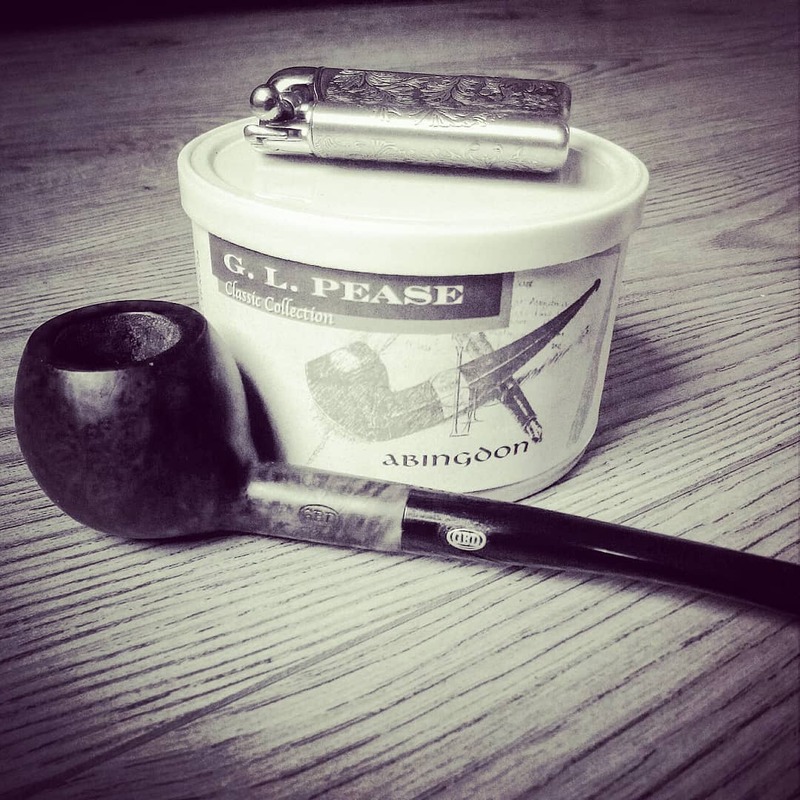 From then on my love of the dark leaf and the search for new (and vintage) latakia mixtures began. 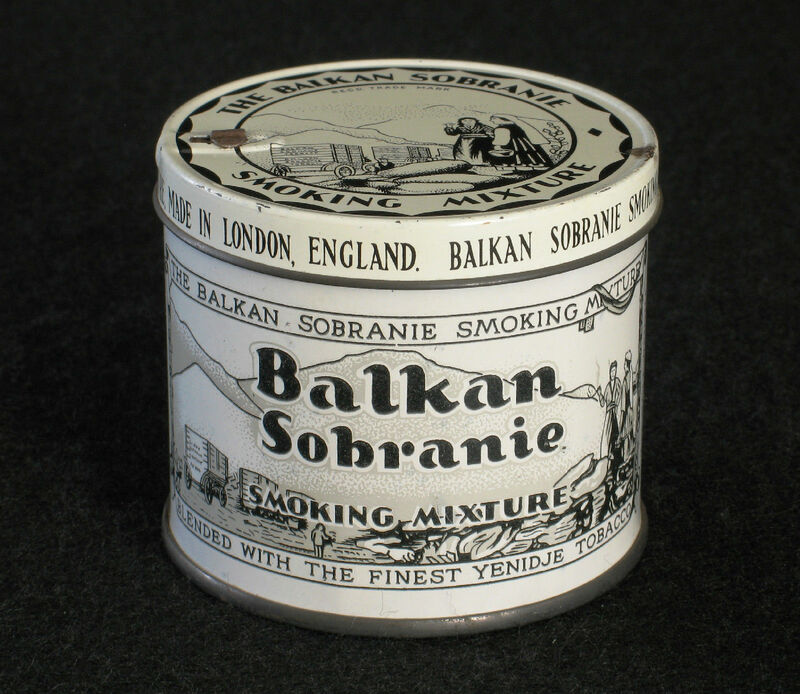 In the time that followed I was able to smoke classic vintage mixtures like Balkan Sobranie Original Mixture, Balkan Sobranie Mixture 759, State Express London Mixture, De Graaff Kegelbaan, Smoker’s Haven Exotique and many more. Recently a good friend of mine went on holiday to Cyprus. Amongst other things he wanted to score some Cyprian latakia. 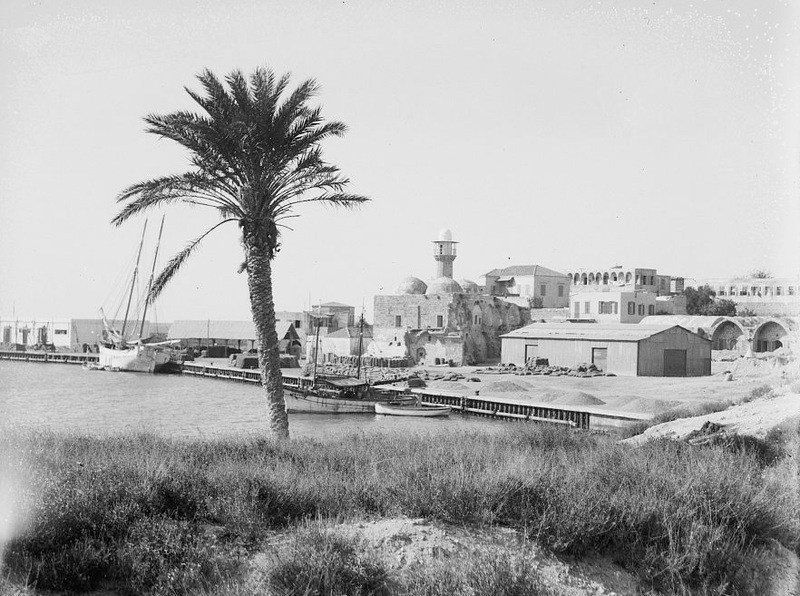 After a visit to pipe-maker Yiannos Kokkinos he was directed to the West of the island to a village called Neo Chorio. Because there, in the Akamas region between Neo Chorio and the town of Polis were the tobacco fields where the Yellow Cyprus was grown. WAS grown yes. Several locals said in interviews (my friend had an interpreter with him) that 10 to 15 years ago tobacco production stopped in Cyprus. According to them nowadays the “Cyprian” latakia is produced in the Izmir region of Turkey. Afterwards it is shipped to the Turkish part of Cyprus where it is sold to tobacco brokers as Cyprian latakia. Luckily the quality has not been compromised because of this, I mean, I have not hear anyone complaining that their Cyprian latakia blends tasted worse than before. 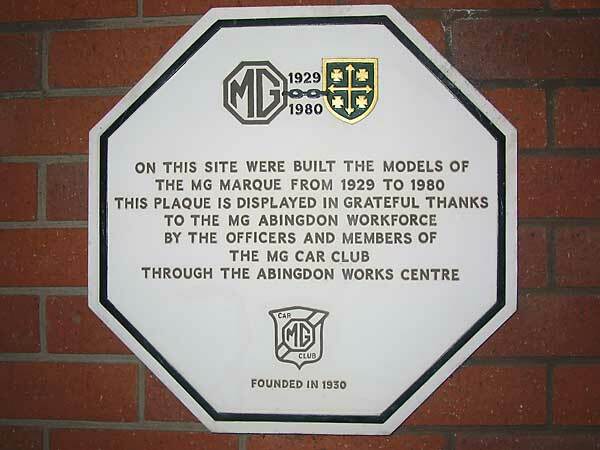 This story has been confirmed by Per Jensen of MacBaren.